Chances are when you hear the name Coachmen the first thing that pops into your head is quality. The second is likely versatility. 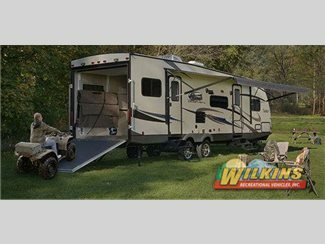 Now, during our Coachmen Days weekend event, you can learn more about legendary Coachmen quality and see the huge selection of travel trailers, fifth wheels and more available from this brand. Stop by our new Churchville location June 1 – 4 for a great deal on a new RV and the opportunity to make a difference for a child in Western New York. In fact, for every RV sold we will give $100 to Make-a-Wish Western New York. 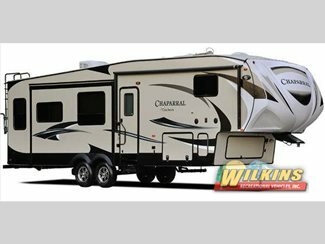 The gorgeous Chapparal fifth wheel is an intelligently designed mid-profile fifth wheel. With units ranging between 36′ and 42′, these RVs feature extensive storage, comfortable sleeping space, well laid out living rooms and so much more. They’re great for those looking to RV in luxury, but don’t want a motorhome. 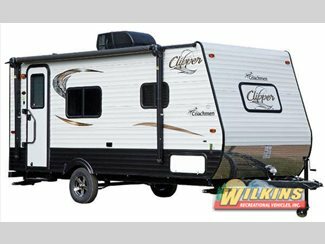 The Clipper Ultra-Lite travel trailer is incredibly fuel efficient, yet promises comfort wherever you go. Weighing around 2500 pounds, this RV features a variety of floorplans that can accommodate anywhere from 2-5 people. This means that small and medium sized families new to RVing will love these RVs! The Freedom Express Toy Hauler Travel Trailers guarantees an amazing experience for you and your family, along with space for your toys. Ranging from 18′ to 28′ in length. Expandable models sleep between 6-8 people. Whether you’re up the street at a local park or heading across the country, this RV is quality through and through. If you’re interested in learning more about available Coachmen RVs during our Coachmen Days Sale, contact us. We can answer any questions you have and make sure you’ve got the information needed to make the right decision.